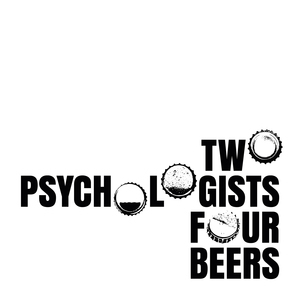 21 episodes of Two Psychologists Four Beers since the first episode, which aired on May 19th, 2018. Yoel and Mickey talk with Sarah Haider, the co-founder and Executive Director of Ex-Muslims of North America, an organization that advocates for the acceptance of religious dissent and supports those who leave Islam. Yoel and Mickey discuss Kill All Normies, a book about the online culture wars and the rise of political polarization. Plus, what was it like attending the Quillette Social in Toronto? We are going to be on a one-episode-a-month schedule till May. Yoel and Mickey welcome Distinguished Professor of Asian Studies, Edward (Ted) Slingerland from the University of British Columbia to the podcast. Ted discusses what the sciences can offer the humanities, but also how the humanities can enrich science. Yoel and Mickey discuss Identity Crisis, a new book about the 2016 US presidential election. Plus: Patreon bans provocative internet personality; should free-speech advocates worry? Journalist Jesse Singal joins Mickey and Yoel to talk about the state of science journalism, what he thinks is wrong with how people interpret the Implicit Association Test (IAT), and the pros and cons of moral outrage. Mickey and Yoel take on social media. What are the upsides and downsides of being on social media, particularly Twitter? Why does Mickey ban himself from social media for most of the day? Would the open science movement have happened without social media? Bonus: when is it a good idea to give voice to the voiceless? Yoel and Mickey welcome psychologist Clay Routledge to the show. Clay discusses what it's like to be a non-liberal in social psychology, his experiences growing up in Côte d’Ivoire and Missouri, and his book "Supernatural: Death, Meaning, and the Power of the Invisible World." Yoel and Mickey welcome their University of Toronto colleague and close friend, psychologist Elizabeth Page-Gould. Liz, who is an expert in close friendship, tries to help Yoel and Mickey fall in love with each other--and with her!